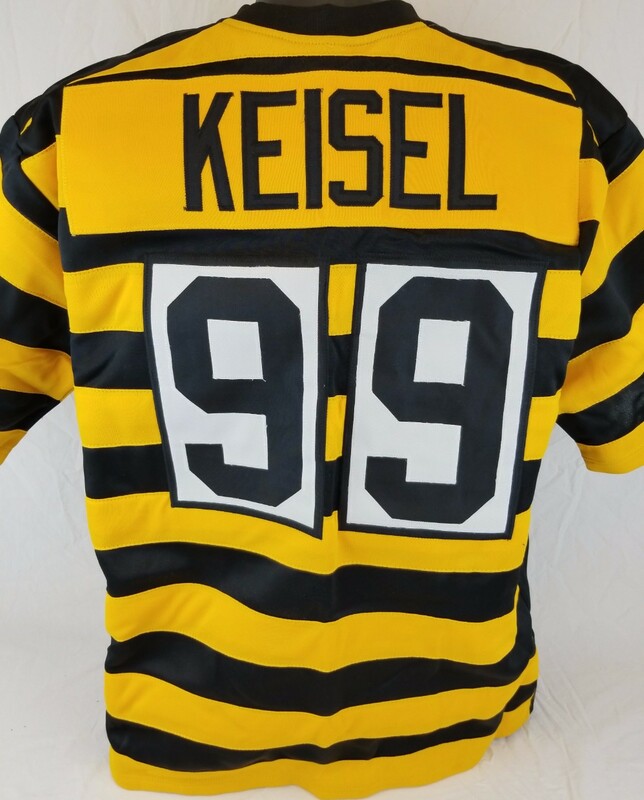 This is a Brett Keisel custom Pittsburgh Steelers jersey. This custom football jersey is made in the Philippines. This Brett Keisel jersey is made of 100% high quality synthetic materials. It does not come with any team logos, league logos, brand name or tags. The nameplate and numbers are all stitched on the jersey. This is not an authentic NFL jersey. These jerseys are great to wear or get autographed!